The Sox are off to a great start this season as they sit in first place in the AL East with a record of 15-10. They have won 8 of their last 10 and are certainly firing on all cylinders. Many factors have contributed to this hot start including Rick Porcello's 5-0 record, Steven Wright's dazzling knuckleball, and one of the deepest lineups in baseball 1 through 9. While Porcello and Wright have been pleasant surprises, there is one more element to this team that has been even more surprising. 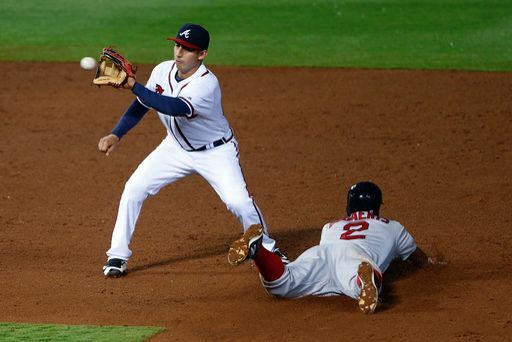 Stat of the day: The Boston Red Sox lead all of Major League Baseball in stolen bases (22). Stat #2 of the day: The Boston Red Sox have been caught stealing only 2 times this season. This also leads all of baseball. Stat #3 of the day: The Boston Red Sox have the best stolen base percentage in the game (91.67). The Royals have the next best percentage, over 11 points away (80.00). Analysis: These Red Sox can run! Who would have thought that the Red Sox would lead the league in steals at any point during the season? Certainly not me. Don't get me wrong, the Red Sox have some guys who can run. Mookie Betts, Brock Holt, and Jackie Bradley Jr. are just a few guys with pretty good speed. However, I wouldn't call anyone on the Red Sox a bona fide base stealer like a Jacoby Ellsbury or Jose Altuve. They do not have a player with blazing speed or anyone who will steal 40 plus bases. Base stealing is not just about pure speed and the Sox truly exemplify this. They have been picking the perfect times to run and are getting great jumps when they choose to run. In particular, Xander Bogaerts has stuck out to me. He is second on the team in steals (5) and is just behind Mookie Betts (6) for the team lead. Last season, Xander set his career high in steals with 10 and now is already halfway there. Bogaerts is definitely not one of the faster players in the league, but he easily has enough speed to make things happen on the bases. Being smart when it comes to stealing is half the battle and Bogaerts has done a fantastic job so far. This aggressive base running has done wonders for this team, leading them to the third most runs scored in the MLB and the most scored in the AL. The days of teams having a lineup full of 30 plus home run hitters are over. It is great to see the Sox adapt and make their offense happen as opposed to waiting around for the 3 run homer. If the Sox stay this aggressive on the bases, only good things will come of it. Thoughts on these running Red Sox?